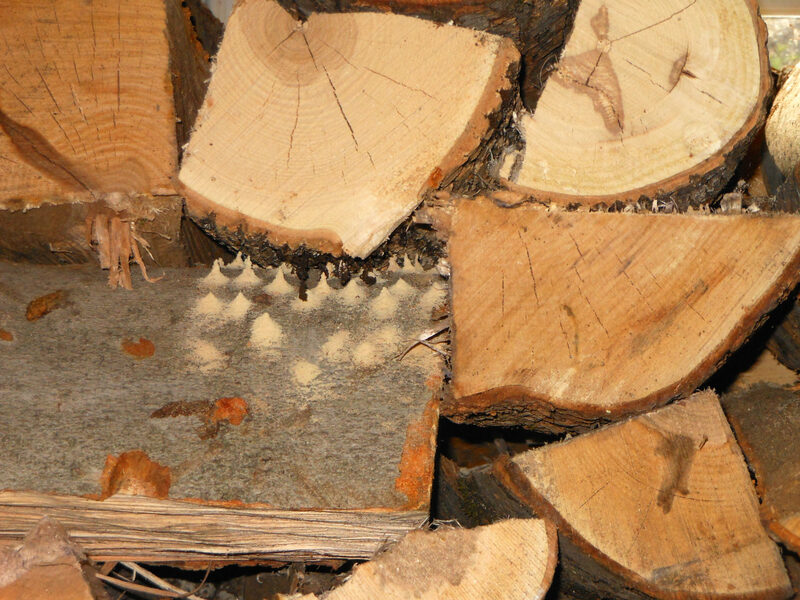 It’s not uncommon to find bugs in firewood — a number of wood-boring insects, arthropods and even fungus can be found in wood. How can you avoid them? There is quite possibly nothing more satisfying to look at in the fall than winter’s supply of firewood neatly stacked inside and ready for the wood stove. And nothing can burst that bubble like the knowledge of what could be lurking among the logs and kindling. What are the types of bugs in firewood? Among the insects or arthropods that can hitch a ride from the outdoors into a wood room on firewood are any of the 70 species of bark or ambrosia beetles, 150 species of longhorned beetles or the 50 species of flat-headed borers. Those risks include bugs that are more than happy to go from chewing on firewood to chewing on the structural wood of a house, she said. Normally, these insects go dormant once the cold weather of late fall hits, she said. “But when you bring them into the home, where it’s warm, they decide it’s spring and wake up again,” Kanoti said. Most of the bugs in firewood are no more than a nuisance, she said. But species like carpenter ants or the powder post beetles can become an infestation and cause damage to a home. Carpenter ants are large, black ants that chew out tunnels in wood in which they live and raise their young, according to information provided by Kanoti’s office. They don’t feed on the wood, but will chew it up and spit it back out as coarse sawdust out of the openings to their nests. Those openings can be up to one-quarter of an inch in diameter. Once inside a home, they may be spotted foraging in the kitchen or other rooms for food and water. Powder post beetles are small brownish-black bugs that bore into dead wood and, over time can reduce the wood into a fine flour-like powder. In large enough numbers, they can cause structural damage to a home. The good news, according to Kanoti, is most homes lack the humidity needed by these insects to survive, so they tend to die out before causing too much damage and the homeowner can wait out a minor invasion. If the infestation is large enough and the insects are causing structural damage, professional exterminators may need to be called in. The best strategy, according to Kanoti, is to only bring in small amounts of firewood at a time, and to leave the bulk of the supply outside for the winter.